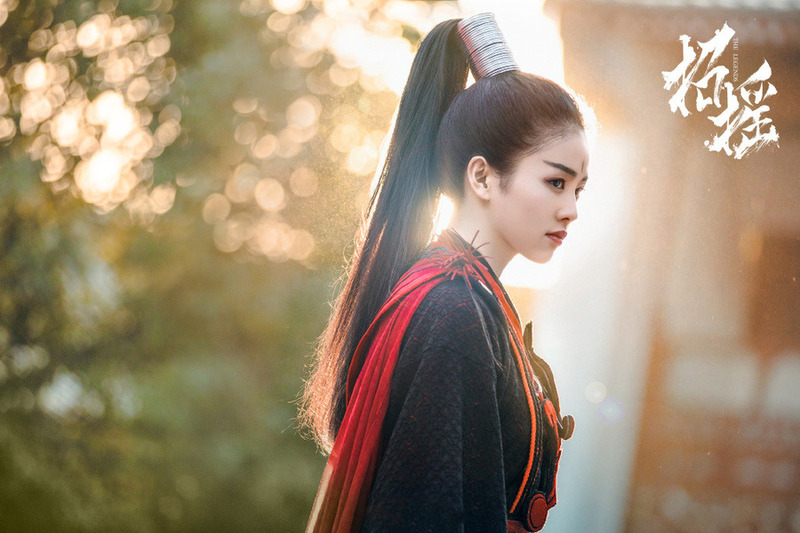 These are recaps of The Legends Chinese Drama Episodes 1-2, Zhao Yao is a bright girl, and she guards the seal with her grandpa. She wants to have a wild boar as her pet, and touches the seal. But Grandpa scolds her. She hates the seal as it blocks her with the outside world. Note: From here on out there are specific plot spoilers for The Legends Chinese Drama Episodes 1-2. Many years ago, devil king, Li Xiu practiced magic art to dominate the world. But he was out of control and hurt his son Li Chenlan. The darkness got in Li Chenlan’s body, and increased day by day. Li Xiu feared the darkness eat his son’s mind, so he sealed him inside the mountain. He asked his follower Lu Shi to guard the mountain and wait until he went back. Li Xiu left to find the method to save his son, and the seal has existed until now. The mountain doesn’t grow any grass, and is called sealed mountain. Zhao Yao is a bright girl, and she guards the seal with her grandpa. She wants to have a wild boar as her pet, and touches the seal. But Grandpa scolds her. She hates the seal as it blocks her with the outside world, and thinks Li Chenlan is boring since he has stayed in the cave for many years. Zhao Yao follows grandpa to leave. But the seal disappears, and Li Chenlan wakes up. Zhao Yao senses the earthquake when she is barbecue. Someone breaks into the seal, Grandpa goes to check it. The decent gold immortal, Ming Xuan casts magic to break the seal, and wakes Li Chenlan. He gets in the cave, and wants to kill him. But the darkness inside Li Chenlan’s body hurts Ming Xuan. Li Chenlan flees. Ming Xuan is scared because he broke the seal and made Li Chenlan run away. Grandpa arrives at the cave, and finds out that the seal is broken. He is pleased as the mission of his tribe ends. Changyu Shengzhu worries when she knows Ming Xuan sneaked into the sealed mountain, and is intention to save him. Ming Xuan was hurt by the darkness, and lies on the road. Zhao Yao passes by and saves him. She falls for Ming Xuan and keeps him in home. Ming Xuan is scared when Zhao Yao wants to marry him, and explains that he isn’t intention to get married. Li Chenlan walks around the street, but he is broke and ugly because of the darkness. He tries hard to get a steamed bun, but gives it to a serious illness beggar. Zhao Yao dresses up herself to make Ming Xuan fall for her, but dresses up herself to be a silly girl. Ming Xuan suggests her to go outside and take a look, and creates the lotus with his magic art. She thinks he is a good person who doesn’t treat her as beast. He tells her that she is innocent, and asks her to do justice just like him. Changyu Shengzhu worries Ming Xuan, so she visits Qianchen pavilion and asks the chief a favor. But the chief is locked himself up. The elder disciple, Qing Qianxuan decides to help her. Ming Xuan recovers in Zhao Yao’s help, and decides to leave. She pretends to smile when seeing him off. Ming Xuan opens the seal of the mountain, and makes Zhao Yao see the outside. She decides to look for him. Ming Xuan tells people that he made Li Chenlan flee by mistake, and reveals he has a blue scar on his face. Li Chenlan leaves sealed mountain, but is attacked by the people of decent sects. He is arrested, and Ming Xuan asks the people to kill Li Chenlan. Changyu Shengzhu thinks Ming Xuan did something in sealed mountain, otherwise he won’t want to kill Li Chenlan. Zhao Yao defeats Grandpa with her martial arts, and he decides to let her choose the path she wants. She sees him off, and hears people talk about the son of devil king. Zhao Yao doesn’t expect Li Chenlan got arrested so fast, and decides to save him since he didn’t do any evil thing. 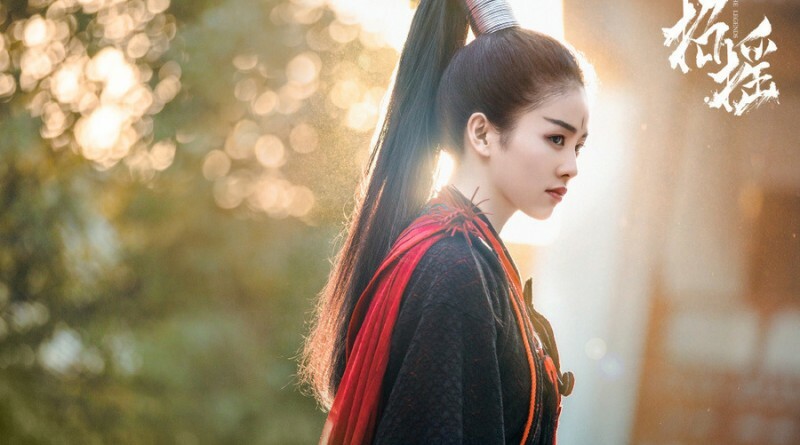 Qin Qianxuan wants to save Li Chenlan as well, but chief tells him not to intervene. The Zong Sect praises themselves to be decent sect, and is against devil tribe. They don’t care whether or not Li Chenlan did bad thing, and he is sinner once he has devil’s blood. They tie Li Chenlan up, and are intention to kill him. Zhao Yao go to stop them, but they mock at her. She is shocked that Ming Xuan asked them to kill Li Chenlan, and doesn’t believe Ming Xuan would do that. Zhao Yao tells Li Chenlan that she will take him to leave. The people think she is kidding, and the chief claims she can take Li Chenlan leave if she can defeat him. Before she fights with the chief, she gets attacked by many guys. The chief is intention to kill her when she is wounded. She doesn’t want to give up, and accepts the chief’s most powerful hit. The person in Zong Sect keeps his promise, and lets them leave. Li Chenlan doesn’t expect that Zhao Yao gets injured for him. Ming Xuan is shocked that Zhao Yao saved Li Chenlan, and explains that she is an innocent girl. He tells the guys not to hurt her. Changyu Shengzhu loves Ming Xuan, so she decides to look into Zhao Yao since Ming Xuan is nice to her. Zhao Yao takes Li Chenlan to return the market, and he glares at the people to get the sugar-coated berry. He gives the sugar-coated berry to her, and she recovers. Zhao Yao gives the name Mo Qing to him when seeing his blue scar. She is drunk and calls Ming Xuan’s name. Li Chenlan remembers his father told him to wait for him, but he didn’t come back. She wakes up, and thinks his eyes look like stars. Zhao Yao and Li Chenlan decide to set up a sect. Changyu Shengzhu wants to get rid of Zhao Yao, but Ming Xuan disagrees because he can knows Li Chenlan’s whereabouts through her. Zhao Yao decides to look for Ming Xuan, and wants to tell him that she saved a guy. Li Chenlan is sad since her mind is full of Ming Xuan. He wakes up and finds out her leaving, and follows her. But she tells him to stay in the cave. He is sad. Zhao Yao arrives at Ming Xuan’s place, but she isn’t aware of the danger. Thank you…..now will go and rewatch 1st and 2nd ep with some inkling of what is going on.